smart building projects. Lena Dorsch presents answers to frequently asked questions of providers of building technology, automation, lighting, and software. The Internet of Things (IoT) is finding its way into commercial buildings, and this brings up questions regarding data ownership, possible use cases, and data transfer. What benefits do smart building projects offer? What are the advantages of collecting building data in the cloud? And who actually owns the data? 1. What are the most common application areas for smart building projects? One question that participants raised targeted the difference between the space management and room booking services. 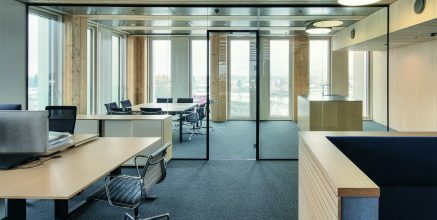 The space management service gives building managers information on how and when rooms in their commercial buildings are being used. They can use this information, for instance, to optimize cleaning intervals and take better advantage of unused space. The room booking functionality draws on this data. One possible application area is an app that lets office staff find out quickly and easily how a building’s meeting rooms are allocated, with live data showing whether reserved rooms are actually in use or are already available due to a meeting having ended early. This information also enables staff to book rooms at short notice, allowing for more efficient use of space. 2. How is the software connected with the building technology and who owns the resulting building data? Data generated by sensors, devices, and building technology is either encrypted and transmitted to the cloud via a gateway or, if the building equipment is connected to the internet, transmitted directly. As to who owns the data, the answer is more complicated. Along with data and privacy protection, this issue is currently shaping the public discourse surrounding the IoT. Particularly, when third-party providers are involved and data is exchanged among them. In our projects, data protection and a transparent process are top priorities. As an example: when we implement a smart building project, the person who generates the data retains ownership of that data. This could be, for instance, a customer or the person who books a service. Of course, user consent must always be obtained. Since this can’t be considered a universal answer to the question of data ownership, uniform regulations will have to be established soon. 3. 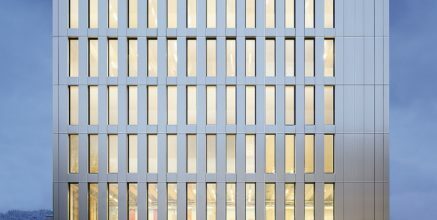 Which challenges are smart building projects facing? It’s all about the data – just as predicted for general IoT projects, we see the capture, processing, and storage of data as a challenge for smart building projects. There are two typical examples that impact the data discussion in smart building projects. One example is cost-effective data storage, also for historical data. And the other one is the enormous variety of data models for devices from different manufacturers. Data security is another issue that requires extensive consideration in connection with smart building projects, since sensors generate large amounts of indirect or direct personal data. 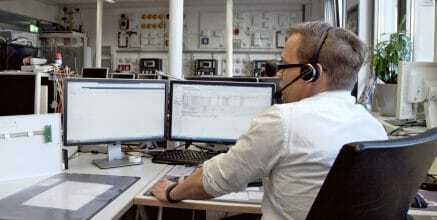 In our projects, data is encrypted before being transmitted to a Bosch data center. Data access is governed by client-specific rules and is subject to authentication and authorization. 4. 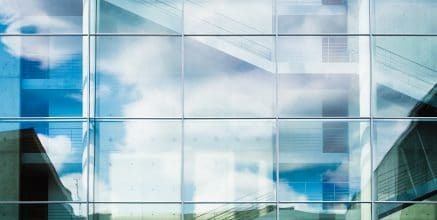 What are the advantages of collecting data in the cloud for my smart building project? The Bosch IoT Cloud offers the technology to analyze building data more quickly and derive insights that can boost building technology providers’ business success. In the building sector, collecting data in the cloud makes it possible to benchmark multiple buildings and create a cross-domain solution. Ultimately, cloud technology is the key to easy data exchange and quick integration of third-party solutions, and it promotes an open ecosystem – which brings us to the final question. 5. What, exactly, is an open ecosystem in the IoT and commercial building environment? There’s no way a company can cover all types of devices and sensors and implement digital services on site. In the IoT, systems or solutions are often closed, with no option for third-party providers to expand services or introduce their solutions. That’s why we are pursuing an approach that is open right from the start and brings real benefits. In very specific terms, we understand an open ecosystem to be one that provides open and public APIs, integrates hardware, and incorporates third-party digital services. Intelligent solutions for commercial, connected buildings. Our Connected Building solutions help you to make the idea of smart buildings a reality. Meet our connected building experts on YouTube talking about our customer projects and technology. 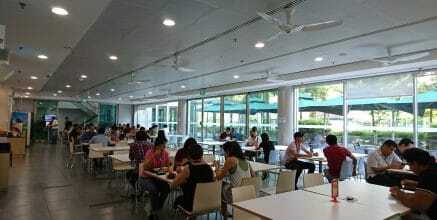 Visit a connected canteen at Bosch in Singapore: how to lunch in comfort with the IoT. 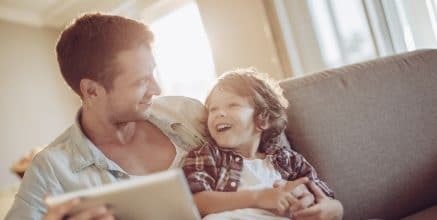 How could connected buildings enrich our lives? We spend an inordinate amount of time in our workplace. According to the Environmental Protection Agency, Americans spend 87% of their life indoors. The majority of industrialized countries follow suit. 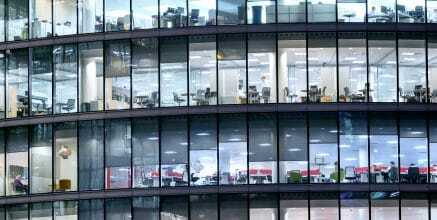 So, it’s fair to say the buildings in which we live and work play a significant role in our daily lives. A commercial building where everything is connected: Zumtobel Group and Bosch Software Innovations develop a remote monitoring solution for commercial buildings. The initial testbed monitors the LifeCycle Tower (LCT) ONE building in Dornbirn, Austria.